Yes, it sounds strange. But, hold your horses, because this might just be the recipe you’ve been waiting for to make life easier for your IT. However, with just the right recipes, some fine wine and appropriate music – your evening can turn from a family disaster into a gathering feast of love and, of course, a good amount of delicious treats. Meantime, miles away from feasting, finding the right environments for your IT is hardly a picnic either. All that hassle of setting them up, pulling your hair until you get past the learning curve, and not to mention the costs. In short, there has to be an easier way to get your IT working on what’s really important – the actual product. Well, thank goodness we have thanksgiving coming up, because getting that feast in order can actually give us quite a few tips on what we need for a good working environment. Every housewife/husband knows to always prepare in advance whatever doesn’t need to stay fresh. That way you can focus on preparing last minute servings and avoid the absolute mess in your kitchen. Funny thing is, pre-prepared virtual environments are a life-saver for IT just the same. Just think of the costs, the time and the effort you save when using ready-made virtual environments, not having to deal with developing them, and not wasting precious time on setup. Like I said – a winning tip every time. A working environment with no collaboration is anything but effective. In the kitchen, it means you’ll want someone to help you out with the cooking and cleaning; In IT computing environments, it means you’ll want to share your work, take snapshots, get feedback and work in collaboration with your colleagues all around the world. In other words, an awesome IT environment is a securely collaborative environment. Here’s the thing about family gatherings – you never know what to expect. So, keep an open mind and be ready for any drama that might arise. Same goes for complex IT environments – it’s all about being able to quickly reset, construct or replicate in real-time. Let’s face it – a great IT environment is one that lets you do all that editing as you go. Lastly, there’s nothing like sealing a fantastic dinner with a delicious desert. What’s more appropriate than the classic pumpkin pie? But, no piece of pie is perfect without a dollop of some cloud-like whipped cream. Surprisingly enough, it’s the same for IT computing environments – they’re just not perfect without the benefits of the cloud: unlimited cloud power, multiplying IT resources, slashing costs. With all that hassle, at the end of the day, there’s nothing more satisfying than the instant gratification after everybody has wined, dined and rested well. However, in the IT world, it’s rare to get something up and running quickly and enjoy that gratifying relief. Everything takes time – there’s always a learning curve or even long, sometimes, tedious setups. It doesn’t have to be that way; complex environments don’t necessarily mean complex setups. In fact, cloud-based ready-made environments have little or no learning curve, and can be up and running quickly and easily. Now that is what I call – instant gratification. With that, let’s remain thankful for the tips that keep us sane in this holiday. 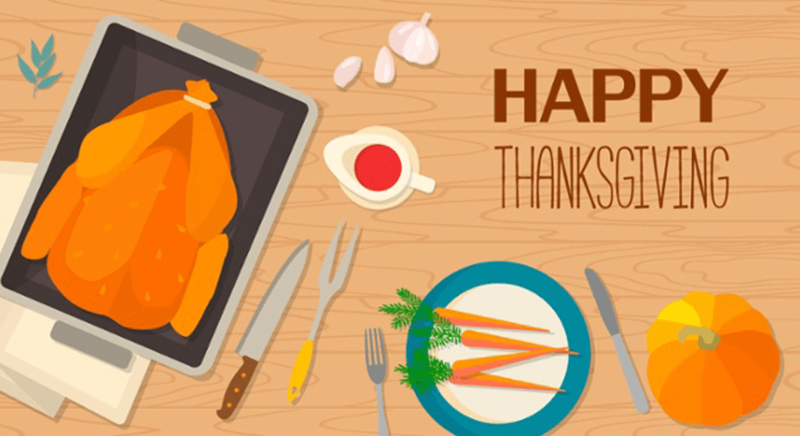 As always, we are grateful to have you as our reader and wish you a very happy, delicious holiday. We make IT unlimited, fast and easy. Click here to learn more about CloudShare.